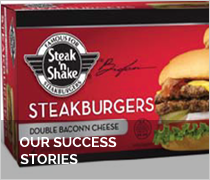 Licensing through Brand Acquisition is a great way to bring innovative and new products to market. NUMBER ONE: Finding the right brand takes special skills and expertise. The brand you’ve set your heart on might already have a license in your category. In other cases, brand owners don’t want to license or don’t see your product category as a “right fit” for their brand. 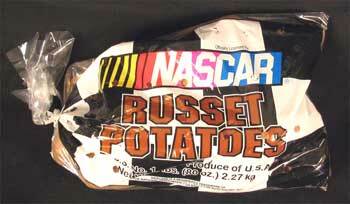 NUMBER TWO: The produce companies who licensed the NASCAR brand to potatoes, carrots and other commodity products quickly found out even rabid fans wouldn’t pay a premium for food staples bearing nothing more than a NASCAR logo on the bag. NUMBER THREE: Brand acquisition licensing is a sub-specialization of brand licensing, and requires special skills and expertise. Broad Street Licensing Group is a specialist with years of experience in all aspects of brand licensing. NUMBER FOUR: Licensing deals include provisions not found in supplier contracts or co-packing agreements. Companies who have manufactured private label products are often surprised at the greater security afforded by licensed deals, as well as requirements for liability insurance not normally a part of contract manufacturing. Be sure your brand acquisition specialist understands how to safeguard your interests. NUMBER FIVE: Licensing can’t replace sound marketing. If you have no distribution at retail, it’s very difficult for a licensed product to open those doors for you on its own. In the food & beverage business, for example, this means you’ll still need to develop distribution networks, a sales force and put marketing dollars behind the licensed product. The key is finding a licensor/brand who will take on some of the heavy lifting with you.